The first question to ask yourself is whether or not your home really needs better drinking water. 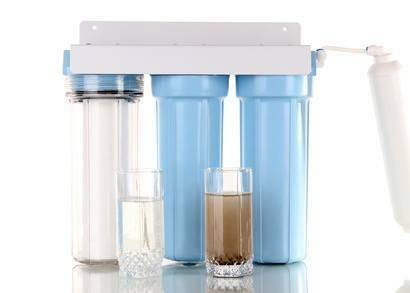 A water filter is only useful if it takes bad stuff out of your water without putting any bad stuff back in. If it is not doing its job, it could become a bed for bacterial growth or chemical treatments. This could be worse than just drinking the tap water. Don't rush out and buy a water filter simply because it is trendy. Research is important. Let's take a look at water filter options for cleaner, softer and tastier water. If you have extremely hard water, softening the water is your best choice. The energy and material costs associated with water softening are offset by longer appliance life. You’ll use less detergent for effective cleaning and your clothes will no longer be at risk of discoloration from hard water. A cation exchange softener is usually installed at the point of entry to your home. It removes "hard" ions calcium and magnesium from the water. It then replaces them with sodium and potassium. Have your home water tested regularly. Test results could show the presence of harmful levels of bacteria or parasites in your water. These include Cryptosporidium and Giardia. If these are present, you need to take action. Chlorine and other chemical treatments are somewhat effective, but they have side effects. Filtration of these pathogens can be difficult due to their very small size. However, Ultraviolet treatment is effective for killing unwanted bacterial organisms. The NSF has certified the Trojan UV Max and the UV Pure Hallett systems as the only two technologies for Class A Disinfection Performance. This is vital in the battle against disease-causing bugs. UV systems will not remove heavy metals and other contaminants. If you are looking to upgrade your home’s drinking water system, please give Kost Plumbing a call at (352) 817-7647.